A.P. 1691D. 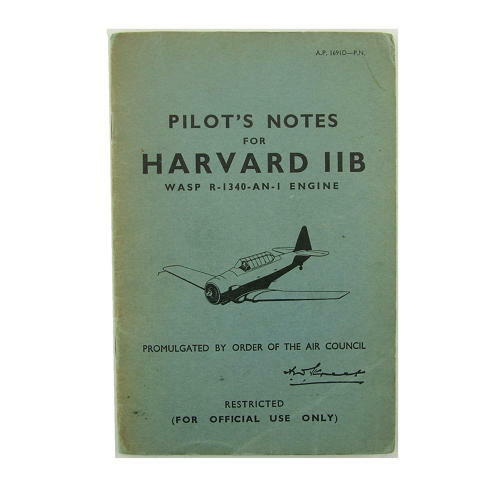 Harvard IIB with Wasp R-1340-AN-1 engine. Original copy dated 10/44. 24 pages with pullout diagrams/photos. Covers a general description of the aircraft plus information on handling, operating data, emergencies etc. Shows use and wear with some soiling and creasing on the cover. Good used condition. Stock code P22199.